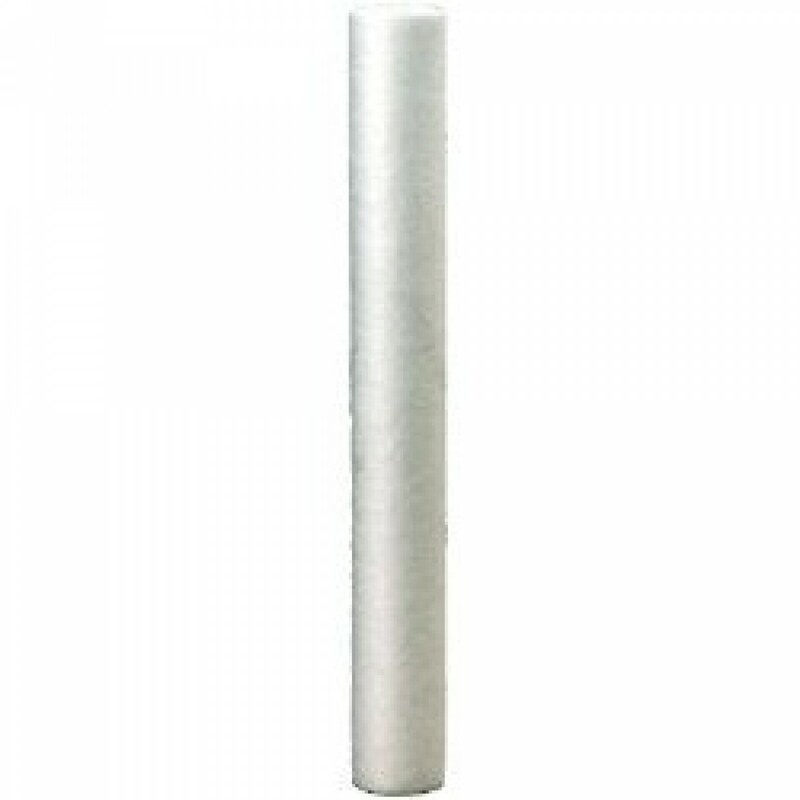 The Hydronix SDC-25-3005 Sediment Water Filter is a 100% pure polypropylene cartridge. It is a perfect Prefilter for reducing sand, silt, rust and scale, and is a comparable replacement for many brands of 30-inch standard sediment filters. The Hydronix Whole House Replacement Sediment Filter Cartridge fits most housings that accept 30-inch x 2.5-inch water filter cartridges. The filter uses Bonded Polypropylene to remove contaminants for up to 3 months. 5 micron fine sediment filter for cleaner water. Graded density for higher dirt-holding capacity. For optimum dirt-holding, replace about every 2-3 months. Materials ANSI/NSF Standard 42 tested and certified.